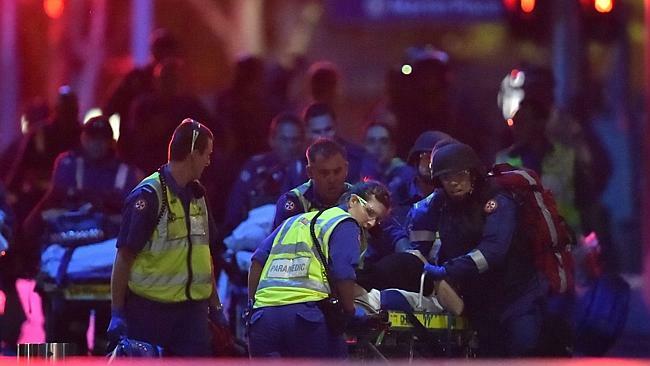 SYDNEY’S terror siege horror ended in tragedy early this morning with three dead - including the lone gunman - as police stormed the Martin Place cafe. Flashes of light and gunshot rang out from the building only moments after six hostages escaped the clutches of armed Islamic hate preacher Sheik Man Haron Monis just after 2am. Tragically, police confirmed two of the hostages, a 34-year-old man and a 38-year-old woman were killed. Prime Minister Tony Abbott this morning commended the courage and professionalism of NSW police and other emergency services involved. Cabinet’s national security committee will meet again this morning to review the situation. “Our thoughts and prayers are with the families of the two deceased hostages, the wounded and the other hostages,” Mr Abbott said in a statement. 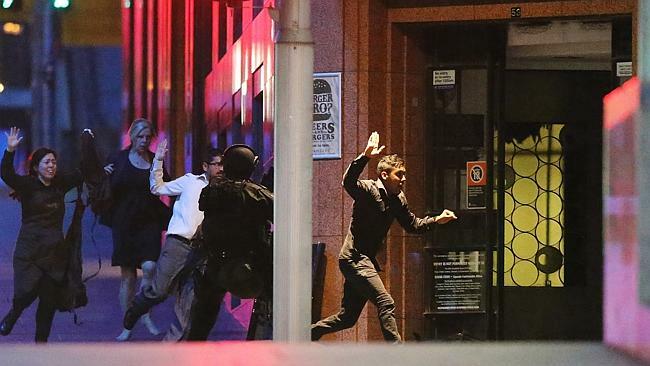 Opposition Leader Bill Shorten also sent his prayers to the hostages and their families. “We owe our full gratitude to our police and security agencies for their bravery, service and sacrifice,” he said in a statement. “Their skill and professionalism has saved lives.” Mr Shorten said he would continue to work with Mr Abbott to keep Australians safe. 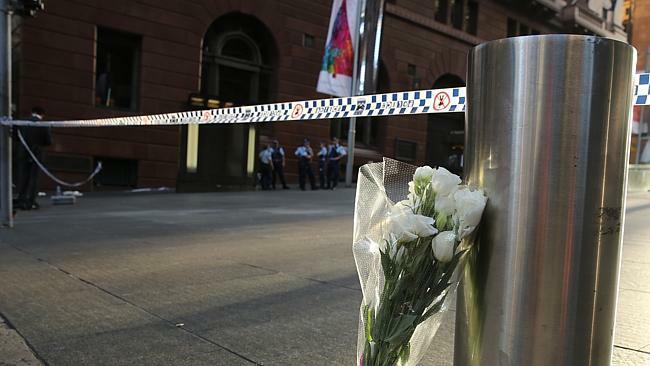 As office workers this morning laid flowers at the scene, Police Commissioner Andrew Scipione revealed 17 hostages had been accounted for, including the five who escaped yesterday. He paid tribute to the police officers who had laid their lives on the line to resolve the siege. He said senior officers had taken the decision to deploy when they did to prevent (more casualties) but he would not speculate any further as a thorough look back was required. “They’re (the hostages) very brave people who in many cases were just buying a cup of coffee and were caught up in this dreadful affair. Premier Mike Baird:“Our first thoughts and prayers this morning are with the innocent victims of this horrendous … attack. “I say to everyone in NSW today we must come together like never before. We will get through this, we will get through this’. 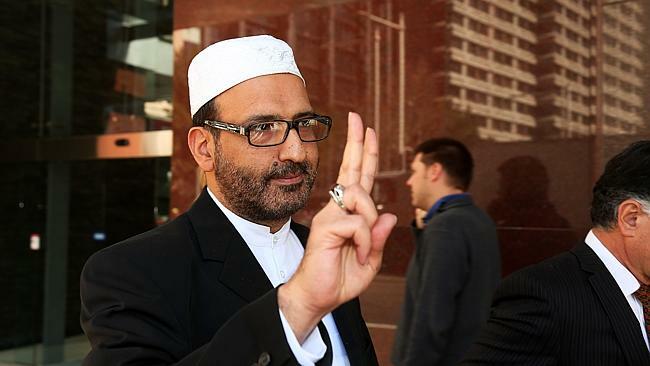 Sheik Man Haron Monis, the man who took the hostages. 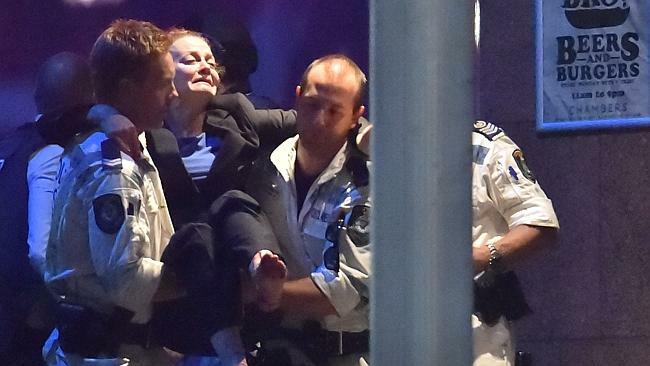 The end of the 17-hour Lindt cafe siege came after a day of unprecedented horror in the heart of Sydney’s CBD amid the first extremist attack on NSW soil. A hostage running up Phillip St towards the corner of Hunter St was the first sign the siege was about to reach a horrific conclusion. The man was running towards police with his hands up at 2.07am. He lay on the ground when he was approached by two police. As he ran towards police, ambulance officers were being suited up in bullet-proof vests as they prepared to go in. Five minutes later, at about 2.11am, there was a volley of gunfire that sounded like fireworks. A female police came sprinting towards civilians and media gathered on the corner, screaming for them to get to the other side of Hunter St.
She was shouting that there was live ammunition. At least three stretchers were seen going into the cafe in the next five minutes, with at least one woman laying on a stretcher. A number of hostages were seriously injured in the drama as it is understood police used stun grenades to raid the cafe this morning. The injured were carried on the shoulders of emergency services personnel to waiting ambulances — the hours of terror they endured and the piercing pain they were experiencing etched on their faces. They were taken to a number of hospitals around Sydney including Royal Prince Alfred and Royal North Shore. Some wailed in agony as Australia came to grips with the unfathomable sights beamed live around the globe.